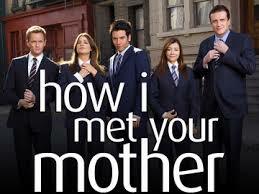 How I met your Mother is a popular US TV show filled with friendly bets, silly wagers and ridiculous pacts. All those who have watched it, will have noticed that the famous sitcom follows the lives of a group of friends who seem to live by their own hilarious rules and customs. Betminded recalls best of the slaps bets, bet boxes and that legendary Altantic city episode in the betting highlights of the series. This episode, features the cast in the seaside casino town for Marshall and Lily's secret wedding, which is salvaged by a gambling prowess. Barney's heroic gambling is brought about by a long-winded series of events: there is a 3 day waiting period for a license and once the couple have decided get married in international waters, they discover that their Captain charges $5,000. This is where expert betting comes in to save the day. Barney, who has been having mysterious conversations in Chinese throughout the episode, admits that he used to be a regular gambler and the whole group of friends persuade him to play for $5,000. Barney enters a fierce game of Xing Hai Shi Bu Xing and by some incomprehensible fluke, this obscure Chinese game enables the couple to get married. Who knew betting for friends could be so romantic? Drinking: When a waiter brings you a drink, quickly order another one. Roulette:Find a table that's hit black five times in a row and bet on red. Dealers: Always seek out the hottest dealers. ATM: It's the easiest game in the house; that's why there is always a line. 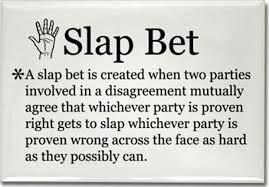 Another unforgettable betting highlight of How I Met your Mother is the epic slap betting. It all begins, when Ted tries to uncover a secret from Robin's past so Barney and Marshall have a Slap Bet wager riding on the outcome. Lily, the appointed Slap Bet Commissioner, gives Marshall the right to slap Barney either 10 times immediately in succession or 5 times available for all of eternity. Although Barney initially chooses the 5 slaps, 3 additional slaps are added when Barney refuses to wear the ducky tie for a whole day. Check out the buzzfeed article to see all 8, at Betminded we've put together our expert selection of the top 3. We like the theatricality of this slap which occurs at the end of Barney's awful one man show. Look at him toppling over in costume. It had to be done. In Slapsgiving 2: the Revenge of the Slap, Barney thinks he has gotten off scott free after the whole group have not been able to bring themselves to slap him. After an emotional speech Marshall unties the unsuspecting Barney…and pounces. This slap gets extra points for slyness. How do you stop your ‘player' best friend from getting cold feet on their wedding day? With a slap. We love the timeliness of this one. Also, its the very last one so it marks the end of a beautiful slap bet era. Last but not least, the How I Met Your Mother Slap betting episodes wouldn't be complete without this incredible music video. With its whooping 1 million views, this video, truly establishes slap betting as an institution. If you like love a betting themed music video like us, our team has selected the top 10. Another (less violent) betting highlight of the series occurs in the 7th season when Barney discovers a bet box. It turns out that, Marshall and Lily have hidden a secret wager on the outcome of Ted and Robins likelihood of “ending up together”. Lily predicts that they won't make it whilst Marshall has a more romantic outlook and bets that they will. Desperate to win, Lily uses her personal insight on Robin to persuade Ted to make a grand romantic gesture to her knowing that this friendly “tip” will scare her away. Through this cheeky calculation, she is able to triumph against Marshall. Together, they demonstrate that betting on friends requires crafty tactics and a cold blooded approach. Good to know? 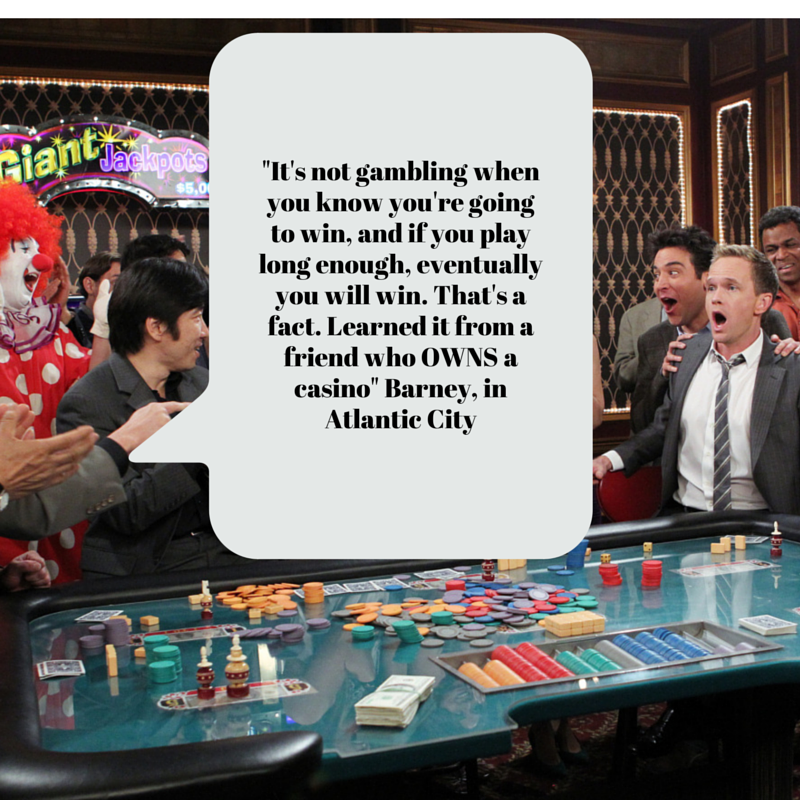 What can we learn from the betting antics on How I Met Your Mother?